Product #16557 | SKU ECM322BMP | 0.0 (no ratings yet) Thanks for your rating! 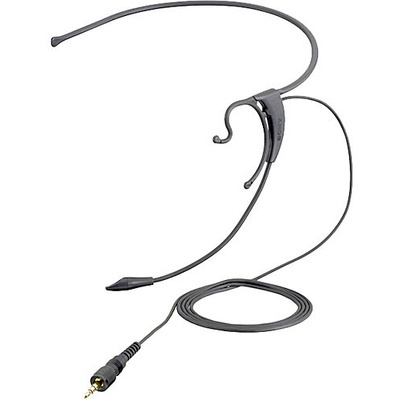 The Sony ECM-322BMP Headworn Microphone is well suited for professional presentation, lectures, workshops and more. The lightweight headset features a comfortable form-fitting design with a slim profile for an inconspicuous look. The highly sensitive capsule features a wide frequency response and omnidirectional polar pattern for a generous pickup area without noise. The ECM-322BMP may be worn on either the right or left ear and an adjustable boom provides flexible microphone placement. The cable features a Sony 3-pole mini-jack with a stable lock mechanism for use with Sony UWP Series bodypack transmitters. The microphone cable terminates to a Sony 3-pole mini-jack with a stable lock mechanism for use with Sony UWP Series bodypack transmitters. The slim headband and boom provide a lightweight, comfortable fit and easy microphone placement. The highly sensitive capsule features a wide frequency response and omnidirectional polar pattern for a generous pickup area without noise.